Silicon roundabout, just a few minutes walk from us. 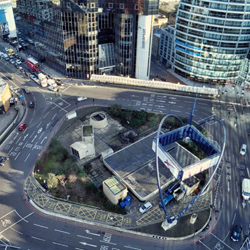 Old Street roundabout (also known as Silicon roundabout), situated just a few minutes walk from our office, is now considered the tech start-up hub of the UK with companies such as Moo, Moshi Monsters and Last.fm all being based around the area. An ideal time to have a London Presence then! This entry was posted in Business, Investment, London, People, The City, Your Office In London on October 23, 2013 by Mathew Aitken. Good morning and welcome back. Today we’ll avoid the news from the Stock Exchange and from the present economic forecast, and instead draw attention the main events of this week in London. 28th October – the banks will appeal a ruling that the Office of Fair Trading had the power to challenge their fees for unauthorised overdrafts. 1st November – the Competition Commission gives its provisional view on Kangaroo, the proposed multi-broadcaster video-on-demand service that will join BBC, ITV and Channel 4, allowing Google and Apple to become dominant Media Businesses. 25th October-22nd March – The Royal Academy hosts the Exhibition Byzantium 330 – 1453, 1,000 years of history, 300 objects. 30th October – Danny Boyle’s Slumdog Millionaire will close The Times BFI 52nd London Film Festival. 31st October – Daniel Craig returns for the second time as James Bond in Quantum of Solace. This entry was posted in Investment, London and tagged arts, businessm, News, week on October 27, 2008 by admin. Is the economic storm passing? The sun appears to be breaking through after the storm that hit the financial market last week. The London Stock Exchange has continued to increase its value after the G8 Meeting of Sunday. France, Spain, Italy, Germany, Austria, Finland, Sweden, Australia, New Zealand, Indonesia, India, South Korea, Japan and Qatar all took measures to guarantee deposits and improve bank liquidity, showing an encouraging recovery for markets across the world. The governments committed trillions of dollars to stop the collapse of the financial system, a measure that appears to have been successful so far. The decision of the American Treasury will provide a wide variety of banks with $250bn (£143bn). However, whilst a renewed confidence this week underlines how the collapse of the markets last week was the result of a common fear, we’re far from clear of danger. From this market volatility we must learn how the collaboration and the union can help business – every business, including your own. This entry was posted in Business, Investment, The City, Your Office In London and tagged markets, News on October 14, 2008 by admin. The panic is spreading worldwide: the slump of every stock market can take the global economy into a deep recession. After Wall Street fell to a five-year low last night with the Dow Jones closing at 7.3% down, the day started very badly in Asia, where Singapore slid into recession, and quickly spread to Europe. In London, the FTSE 100 plunged more than 10% in the first 30 mins of trading. What will happen in Wall Street today? And in Europe? What does ‘recession’ mean? And what does it mean for your business and for your livelihood? This entry was posted in Business, Investment and tagged business, London, markets, World on October 10, 2008 by admin. UK interest rates cut by 0.5% as US Federal Reserve leads co-ordinated effort across the world to restore economic confidence. In this catastrophic period for financial markets and particularly after the disastrous events of Monday, people are questioning the safety of their savings, pensions and nest-eggs. So let’s have a look at which is the best bank for you and your business, taking in to account the recent turn of events. On this page you can find a form with the main UK bank accounts that compares and applies 40 UK bank accounts, savings, current accounts and ISAs. Made Simple Group provides you with 5 banking and special services for start-up businesses: check here tomorrow for all the details! This entry was posted in Investment, Made Simple Group News and tagged bank, business, market on October 8, 2008 by admin. After a terrible day for worldwide economic stability, banks and governments are taking steps to try and save their country’s businesses from feeling the effects of the ‘credit crunch’. National banks mint more money and Finance Ministers work on new rules to control and protect the savers and the investors. Many are calling for an official statement on the crisis today, feeling that this latest fall in bank shares is juts the latest chapter in a seemingly endless economic downturn. Here is our selection of some of today’s essential Business headlines. This entry was posted in Business, Investment and tagged bank, dark monday, europe, London on October 7, 2008 by admin. A significant element in growing a business is to attend events, conferences and exhibitions; Ideal for networking, it also gives you a chance to assess your competition and find new ideas and solutions. Meeting colleagues and people who deal in your field is very important for the success of your business: it makes for good public relations. 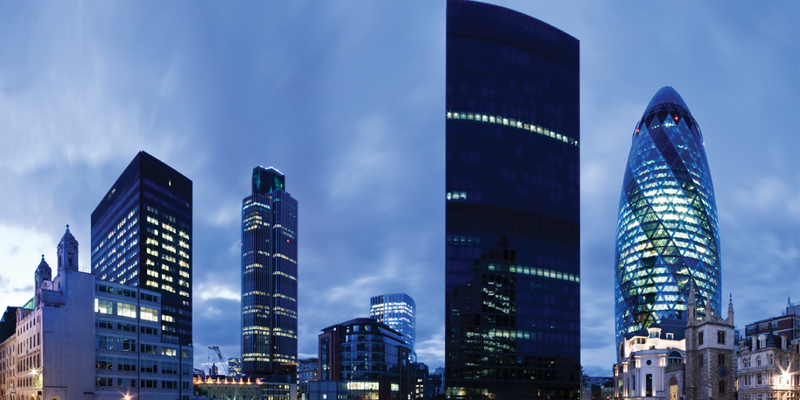 Every week London and all of England offer new events aimed at different aspects of business. In Yorkshire for today and tomorrow there is the Business North West; an event designed for company directors and entrepreneurs who run small and medium-sized businesses in England. It’s an important event to provide thousands of small businesses with information, advice and inspiration whilst offering several seminar programmes to provide training within a networking environment. In London, on Wednesday 15th of October, the International M&A conference will be held in the prestigious Sofitel London St James: it will examine the benefits and practice of running a business abroad. Experienced speakers will look at all aspects of cross-border deal-making, from finding initial targets to post-acquisition integration. To find out more about the next business events have a look at the main venues for these events in tomorrow’s post! This entry was posted in Business, Investment, London, Your Office In London and tagged business, events on October 1, 2008 by admin.